We’ve been dinking around making tasty cocktails lately at the house and we decided to mix it up a bit by playing with beer. Rather than going with tomato juice and or some sort of other morning, hangover drink, we went dessert…with a bit of a jolt. First I pulled a double shot of Starbucks Gold Coast from the ol’ Sirena espresso machine … which we’re happy to have back today from a healthy cleaning this morning. 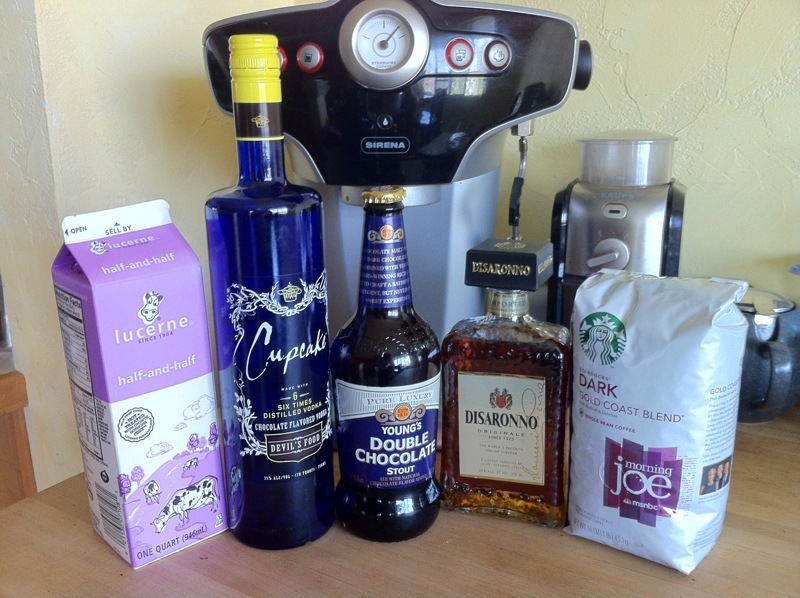 A shot of Cupcake Devil’s Food Chocolate Vodka gets added in with a splash of Disaronno to cut a bit of the dark roast from the espresso. Toss it into a cocktail shaker with an ounce of half an half and some ice … shake shake shake. 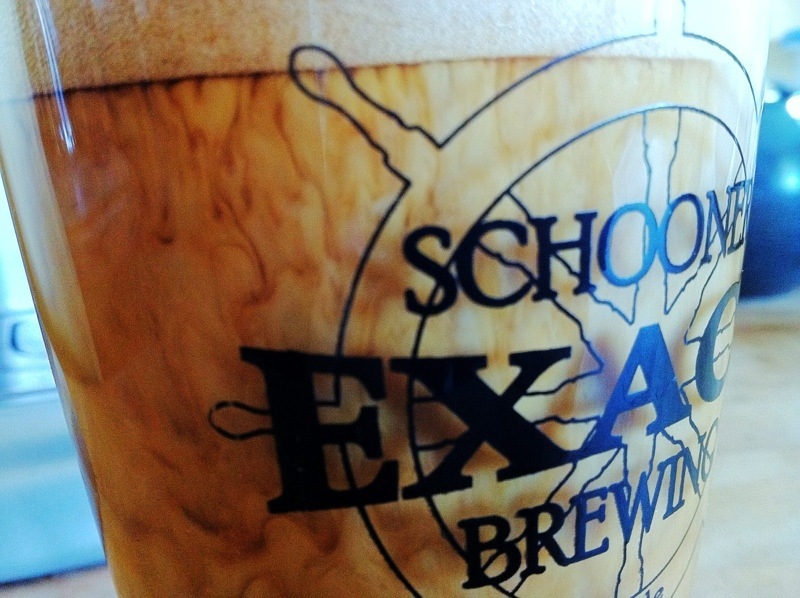 Bust out your frosty pint glass, my favorite is from my friend Heather over at Schooner Exact Brewery in Seattle’s SODO district, and fill it with the frothy deliciousness from the shaker. Spun loved this on its own, truly it’s delicious. However, if you want some nice dark chocolatey beer in there, I’d recommend floating (pouring it over a spoon against the edge of the glass slowly so it doesn’t just dive to the bottom), specifically Young’s Double Chocolate Stout. So good. It magically looked like Guinness, but was darker, sweeter and super chocolatey. The Cupcake vodka kicked the chocolate up a notch and the Disaronno smoothed it out. The cocktail is super balanced and all sorts of delicious. Let me know how yours turns out or if there’s anything else you’ve added that makes it better.